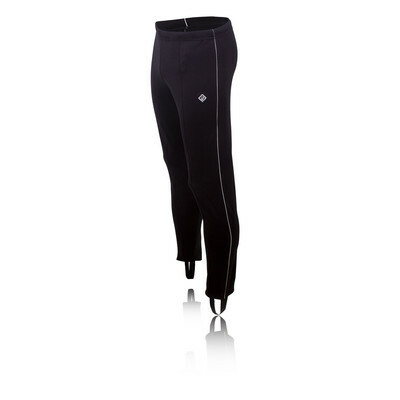 The Ronhill Classic Trackster Running Pants are an excellent hardwearing and comfortable running pant. These pants are both lightweight and breathable and will ensure you stay as efficient a runner as possible. "Good fit and reasonably priced"
The Ronhill Classic Trackster Running Pants feature Thermalite Fabric for a more comfortable and snug fit. These trackster pants are made from a durable and hardwearing material that will stretch to the contours of your body ensuring that you remain comfortable while on your runs. With an additional key pocket located in the interior of these pants, you can keep your small valuables safe and secure while you run. Exertec 100 - Tough, lightweight and with 4 way stretch, this is an incredibly comfortable and soft running fabric that won't distract you while running. Durable Fabric - Hard wearing fabric for long-lasting use. Lightweight And Breathability - Great breathability and good air flow keeping your feet dry during training. Inside Pocket - A small interior pocket provides space for a key or small valuable.